It is only natural that over time, the functions of our body begin to decline. All senses begin to wane as we grow older. Vision loss is increasingly common for those over the age of 50. 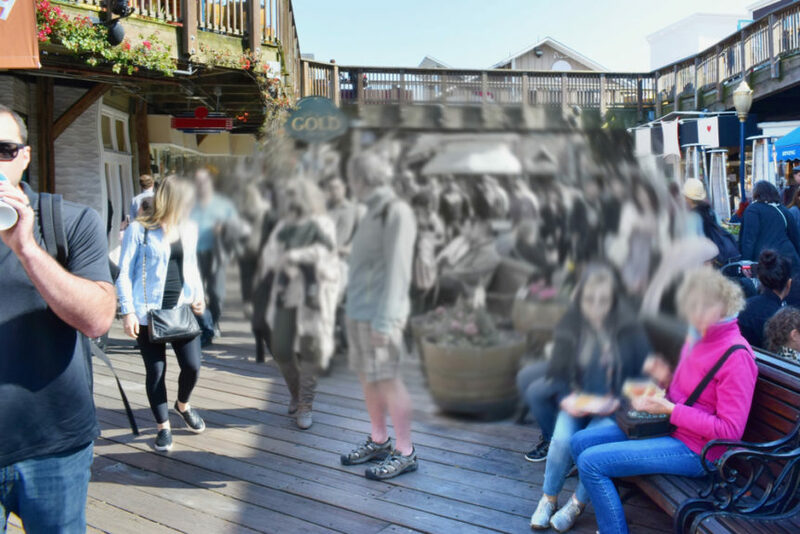 According to the National Eye Institute (NEI), nearly 2.1 million Americans have suffered from age-related macular degeneration (AMD), a condition that can lead to vision loss. AMD is the leading cause of vision loss for those over the age of 60 with much of the damage being severe. To stay on top of your eye health and prevent any long-term vision loss, it is important to understand what this condition exactly is. AMD occurs in people over the age of 50 years old. The macula, the small central part of the retina found at the back of the eye, begins to suffer damage and deteriorate. This is the part of the eye that is needed to clearly see objects directly in front of you. For some, AMD is a slow-moving condition where vision loss won’t occur for a long time while in others, it is much more aggressive and quicker and may lead to vision loss in one or both eyes. Complete vision loss does not always occur in those with AMD, but the center of your vision will become increasingly more blurred with blank spots beginning to show up. Objects will also lose much of their brightness as well. AMD does not lead to complete blindness, but it can lead to difficulty and frustration in everyday activities like reading, driving, cooking, and much more. There are actually two forms of age-related macular degeneration: dry form and wet form. Dry Form: Dry macular degeneration is typically diagnosed by the presence of yellowish spots called drusen in the macula. They are believed to be the remains of dead or deteriorating tissue. A few spots of drusen may not affect your vision, but if they are to grow in size or spread, they may lead to distorted vision. Dry AMD is typically an early stage of the disease. Wet Form: Rather than having drusen build up in the macula, wet macular degeneration can be diagnosed by the formation of abnormal blood vessels from the choroid under the macula, eventually leaking blood and fluid. This can cause permanent damage to your vision. Wet AMD is the more advanced and serious form of the condition. Most patients typically only have dry form AMD, losing part of their central vision. However, dry form can eventually lead to wet form if not treated properly, but only 10% of AMD patients actually develop wet form. Those in the early stages of age-related macular degeneration may not experience any symptoms at all. One of the very first signs of AMD is that you may begin to notice that your vision has become less clear than usual, and when straight lines may appear distorted to you. See how an AMD eye exam works by viewing the Amsler grid below. However, in advance cases of AMD, sudden vision loss can happen swiftly and aggressively. If you begin to experience any of these symptoms or suspect you may be at risk of AMD, schedule a comprehensive eye exam to allow your eye care expert the chance to monitor your health. For those approaching the age of 50, it is important to have regular eye exams in order to stay on top of any changing conditions in your eye health. While there are no immediate cures for age-related macular degeneration, there are treatment options that can slow or prevent further vision loss. Our experts at First Eye Care North Arlington have the experience, knowledge, and equipment necessary to monitor your eye health with comprehensive eye exams. Contact us to learn more about AMD or to schedule your next appointment.